Edibles are the priority in this front garden. A fence shrouded in vines creates a physical and visual enclosure for this creative food garden that incorporates containers and in-ground plantings. Photo: Grace Design Associates in Santa Barbara, CA. 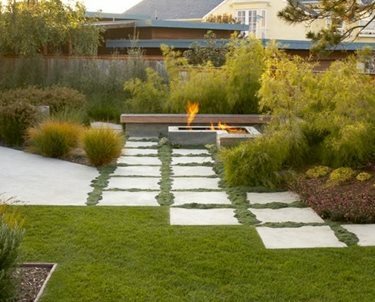 Believe it or not, this fire pit and seating area are actually located in this home's front yard. This location was selected to take advantage of the wind break provided by the house. The landscape architect was still able to create an intimate space by using plants for screening. 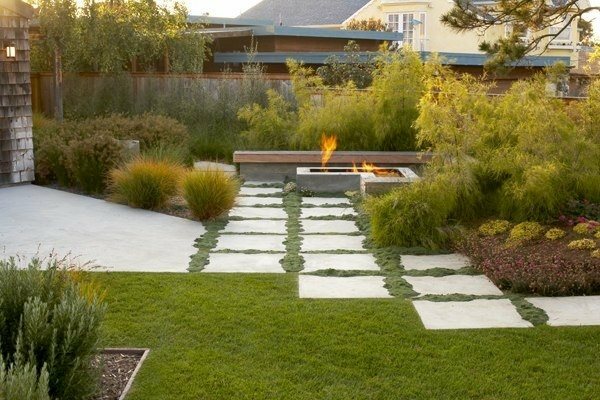 Photo: Jeffrey Gordon Smith Landscape Architecture in Los Osos, CA. This home's front yard is fully loaded - it has lots of space for kids to play and has a firepit, dining table and fountain. 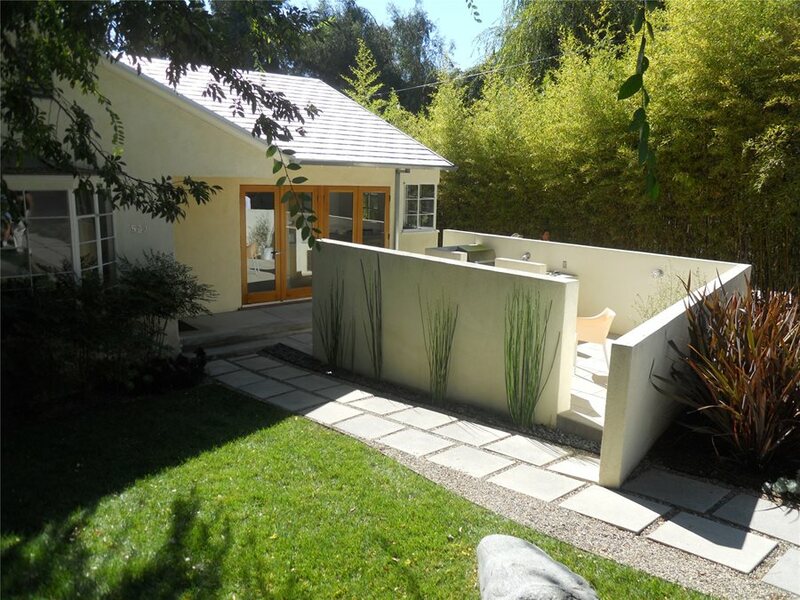 The sunken yard sits below street level and has a gate and plants along the road for added privacy. 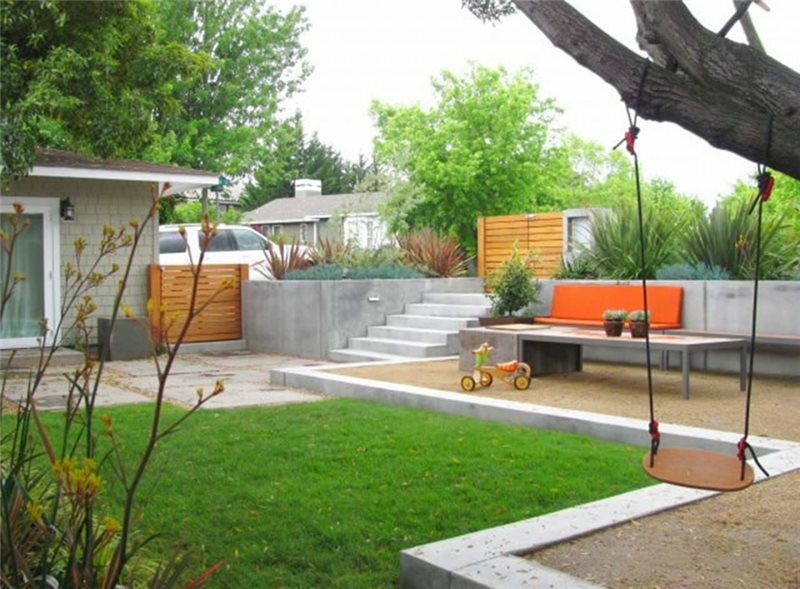 From the street this awesome outdoor living space is invisible. Photo: Shades of Green Landscape Architecture in Sausalito, CA. The owners of this home opted to have a grill and dining area in their front yard. 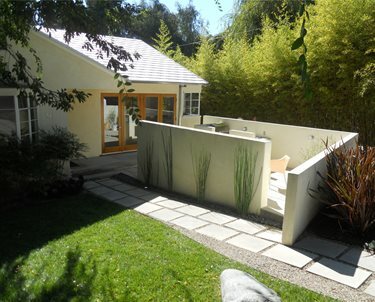 Stucco walls ad privacy to this area without enclosing the entire yard. The effect is similiar to a courtyard. 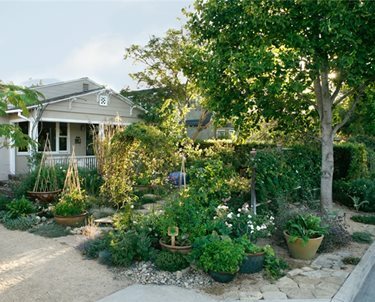 Now you know that with creative design ideas front yards can be more than just a pathway and some plants. 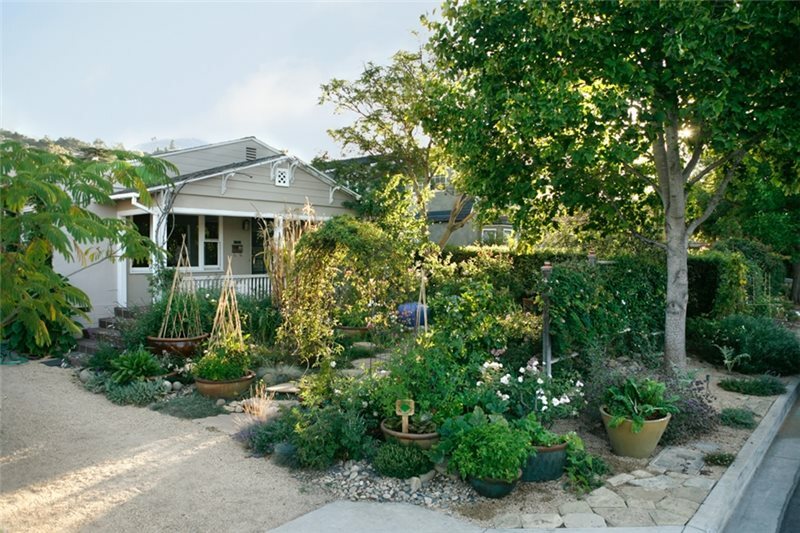 I hope these examples have inspired you to rethink front yard landscaping and begin using your own front yard as a functional outdoor living space. 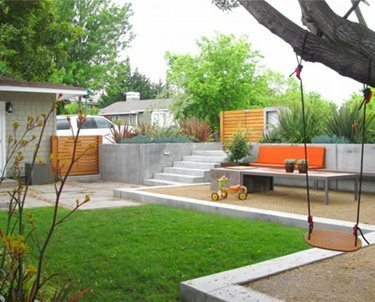 Photo: LandscapingNetwork.com in Calimesa, CA.